Denis Mokrushin’s blog provided heads up to the establishment of an independent motorized rifle brigade (mountain), which may stand up in, of all places, Tuva in 2015. According to Mokrushin, the new 55th Independent Motorized Rifle Brigade (Mountain) will be based in Kyzyl, capital of the ethnic Tuvan republic located at the geographic center of Asia, not far from Central Asian nations where it might deploy in a crisis. The new mountain brigade, part of Russia’s Central MD, will reportedly be designated not just for mountain combat, but peacekeeping duties as well. A story from February indicated only residents of Tuva will be considered for enlistment in the 1,500-man brigade. It will be mainly equipped with GAZ-2330 Tigr vehicles. The 55th would be one of a handful of formations specifically created for mountain warfare, the most significant being the Southern MD’s 33rd and 34th brigades. It will also give Russia a maneuver force in a location near its border currently lacking troops. According to Tuva’s military commissar, contractees in the brigade will have a chance to support themselves and their families. Tuva might best be described as remote, rugged, impoverished, and sparsely inhabited. Its 300,000 or so people are predominately, and increasingly, Tuvan as the Russian population dwindles. The reported plan to recruit only in Tuva means that the 55th brigade would be effectively an ethnic formation — something the Kremlin and the MOD have steadfastly resisted in regions like Tatarstan or the North Caucasus. The brigade priest will be Buddhist. This month, however, a military spokesman said men from neighboring Krasnoyarsk Kray, Khakassia, and Kemerovo will be recruited as well. The report of a new brigade in Tuva appears against the backdrop of previously announced plans to add more Russian Army brigades and sign up larger numbers of contract servicemen. 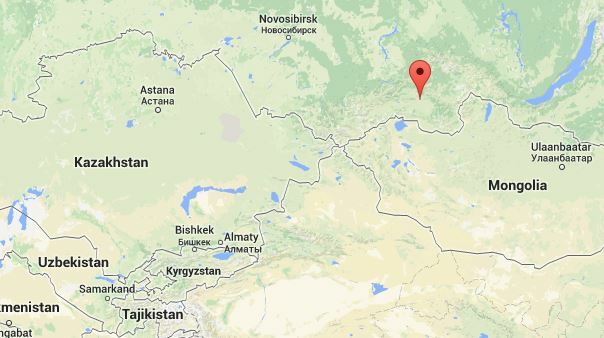 This entry was posted in Force Structure, Ground Troops, Manpower and tagged 55 ОМСБр (Г), 55 OMSBr (G), Contract Service, Contractees, ОМСБр, Kyzyl, Mountain Brigades, OMSBr, Tuva. Bookmark the permalink. Thanks for making that connection…his father was Tuvan, mother Russian, and he was born in Chadan.